Star Alliance member Air Canada will operate the new seasonal service ‒ launched in time for 2016’s Diwali festivities ‒ with Boeing 787-9 widebodies. According to Air Canada, its new seasonal Vancouver-Delhi service will complement the Toronto-Delhi non-stop service it launched last fall. To promote the new Vancouver-Delhi route, Air Canada is offering round-trip introductory fares from C$999 (US$793.32), including taxes. Tickets are now available for purchase on aircanada.com and through travel agents. “Customer response to our Toronto-Delhi service has been extremely positive, and with this new seasonal Vancouver route, we are strategically increasing our presence in the important Asia-Pacific market in time for Diwali festival celebrations,” says Benjamin Smith, president, passenger airlines at Air Canada. 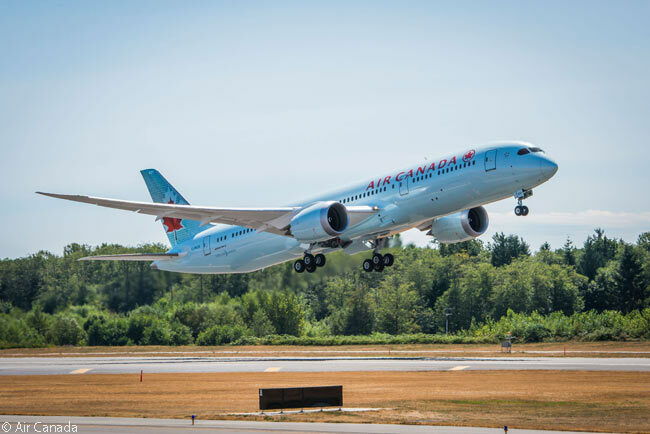 “Our non-stop Dreamliner flights from our Vancouver hub will also offer the shortest elapsed flying time from Calgary, Edmonton, Seattle, Portland and Los Angeles to Delhi,” says Smith. Air Canada will operate its Vancouver-Delhi service from October 20, 2016 to April 8, 2017. The carrier’s schedule for its Vancouver-Delhi service will see flight AC72 departing Vancouver International Airport (IATA code YVR) at 9:40 p.m. on Tuesdays, Thursdays and Saturdays from October 20 and arriving at Delhi’s Indira Gandhi International Airport (DEL) at 1:20 a.m. two days later. In the other direction, flight AC73 will leave DEL at 6:30 a.m. on Mondays, Thursdays and Saturdays from October 22 and reach YVR at 6:55 a.m. the same day, local time. Due to Canada’s seasonal switch from Daylight Savings Time to Standard Time in late October 2016 and back to Daylight Savings Time in March 2017, DEL arrival/departure timings will be one hour earlier during the periods October 21–November 6 and March 12–April 8. The shortest great-circle distance between Vancouver and Delhi is 6,925 miles (11,144 kilometers, 6,017 nautical miles). 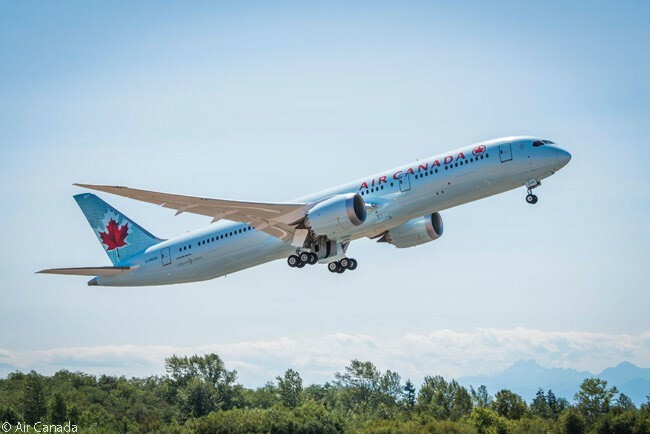 Each Air Canada Boeing 787-9 is outfitted with 30 International Business Class lie-flat pod suites, 21 Premium Economy seats and 247 Economy Class seats. Every seat in the aircraft has upgraded in-flight entertainment. 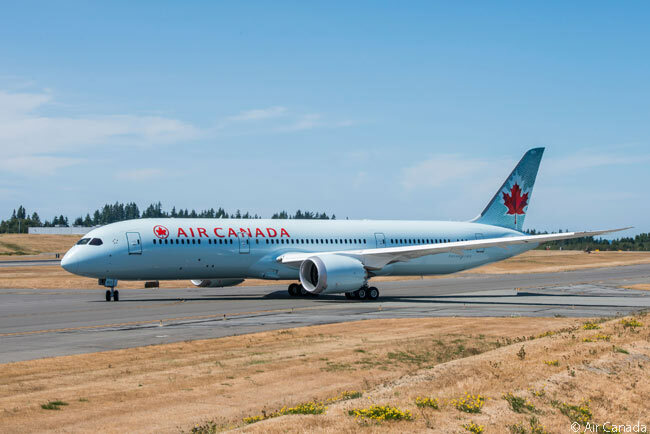 Air Canada has optimized connections to and from the carrier’s extensive Western Canada and Western U.S. network through the airline’s Vancouver hub. In Delhi, Star Alliance partner Air India offers excellent flight connections to destinations throughout the Indian subcontinent, according to Air Canada. Air Canada now provides scheduled passenger service directly to 64 airports in Canada, 55 in the United States and 87 in Europe, the Middle East, Africa, Asia, Australia, the Caribbean, Mexico, Central America and South America. Last year, Air Canada launched new international services from Vancouver to Osaka; from Toronto to Amsterdam, Delhi and Dubai; and from Montreal to Mexico City and Venice. This summer, Air Canada will launch new international services from Vancouver to Brisbane and Dublin; Toronto to Budapest, Glasgow, London Gatwick, Prague, Seoul and Warsaw; and from Montreal to Casablanca and Lyon.